BRUNSWICK, Maine — Kate Lord didn’t have a plan when she graduated from Brunswick High School in 2014. For two years, she was unemployed. Eventually, her father was able to use his connections at Bowdoin College to get her a job working in a kitchen. For 20 hours a week, she lines muffin pans and preps dessert trays. At this time, the bakery job suffices. Kate is a hard worker and a pleasure to be around, her supervisor said. But she has no interest in the food industry. Her father believes she could do a lot more, and wishes her high school had done more to help her visualize her future and then take steps to reach her goals. Kate has autism and borderline intellectual functioning, meaning her IQ is slightly below what is considered average. She struggles with decision-making and executive function, which are the skills that allow people to organize information and respond to it. But her father, Rich Lord, and disability experts say there’s no reason she can’t find a more fulfilling career at which she can excel. Schools are legally obligated to create meaningful post-schooling plans for students with disabilities as part of their Individualized Education Programs, or IEPs. Under federal law, special education students must have transition plans in place by age 16 that include work, school and independent living goals that a student would like to achieve. Several states require schools to start this process at age 14. Former special education students on average earn $9.40 an hour, compared to $13.20 for former general education students. But Kate’s education failed to set her up for higher education or a career, as is often the case with special education students. Her experience after high school shows how important legally mandated transition plans and services are — and demonstrates how hard it is to do them right for all students. Related: Almost all students with disabilities are capable of graduating on time. Here’s why they’re not. 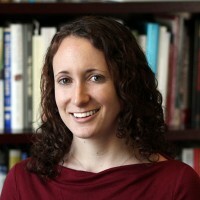 A 2011 federal study found that although the employment rate within 6 years of leaving high school for special education students (71.1 percent) was actually slightly better than for general education students (70.7 percent), the special education graduates earned significantly less — $9.40 an hour, compared to $13.20. The higher employment rate is likely partially attributable to the fact that former special education students are less likely to be spending that time in college; 21 percent of special education students surveyed were enrolled in college compared to 41 percent of general education students. 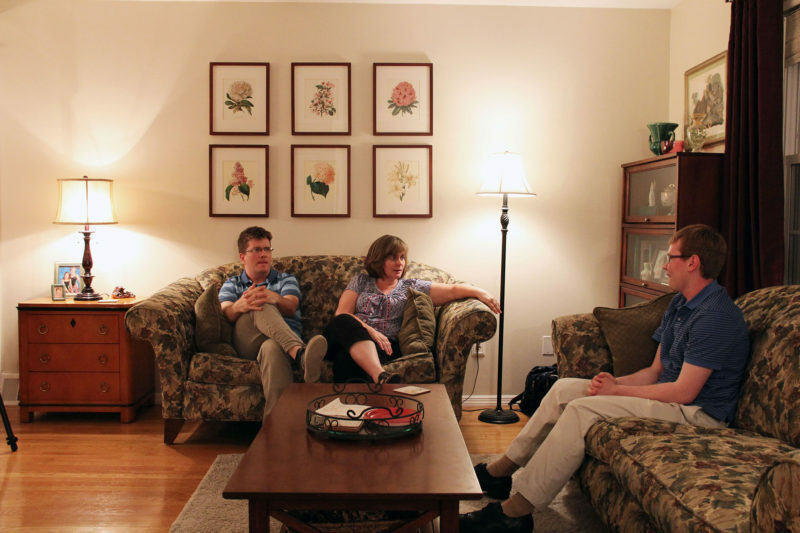 Peter O’Halloran, a young adult with a disability, sits with his family in their house in the suburbs of Philadelphia. He is saving money to buy his own home. Photo: Jackie Mader/The Hechinger Report. Employment rates varied considerably by disability. Nearly 80 percent of students with learning disabilities had jobs, compared to 45 percent of those with autism and 55 percent of those with an emotional disturbance, the federal report found. 1. An accurate and thoughtful assessment of a student’s abilities and interests. 2. Clear, measurable goals related to his or her postsecondary aspirations. 3. Appropriate support and services to help them achieve their goals. Far too often, however, families are left like Kate’s, struggling to fill in the gaps postgraduation that students should have figured out before they earned a diploma. Kate wasn’t sure what she wanted to do when she graduated, and Lord said no one at her school talked to her about it in a meaningful way. When Kate was asked about her aspirations, he said, she told school officials she wanted to be an actress. But he worries no one probed deeper to ask questions about why she wanted that job and what other related careers she might explore. Lord acknowledged that he struggled himself to get answers out of Kate about what she wanted for her future; he said he needed the help of professionals to crack the puzzle. Kate had loved being in the ensemble in musicals such as “Grease” and “West Side Story” at school. Lord wondered if Kate’s love of movies and theater meant she might find behind-the-scenes jobs. But he couldn’t figure out a way to translate those interests into employment in Brunswick. But Lord doesn’t blame teachers. He blames the system. Many districts rely on formal assessments to help schools create viable plans for students. In Washington, D.C., a district official said that public schools give some students a questionnaire that covers items such as, “Do you prefer to work alone or with others?” and “Is it more important to you to earn a lot of money or to help others?” School officials are also supposed to discuss goals and the steps necessary to reach them with students and their parents. But advocates and lawyers interviewed said Kate’s experience is common. Many said the vast majority of goals and measures they have seen are vague or even nonsensical and fail to live up to their legal requirements. Plans often include too few goals, or superficial ones. 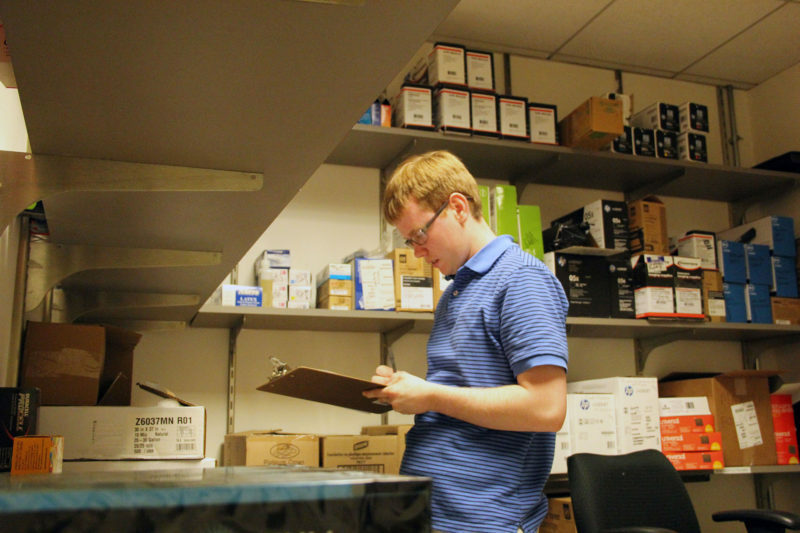 Peter O’Halloran checks supplies at his job. O’Halloran works full-time at a nonprofit in Philadelphia. Photo: Jackie Mader/The Hechinger Report. College-bound students might be instructed to research colleges and fill out college applications — but the plans often don’t include training in other essential skills for college, such as how to study. Frequently, transition plans demonstrate low expectations. Parents and advocates say many special education students are steered toward what one parent referred to as the “five Fs”: food, folding, flowers, filing and filth, referring to cleaning and janitorial services. Bob Cunningham, an expert in learning and attention issues for the nonprofit Understood.org, said part of the problem is that in many schools, nobody “owns” the transition process. “I think because much of what happens related to kids with learning and attention issues is immediate, people are focused on the immediate,” he said. In other words, educators often don’t think about the future until it’s too late. By Kate’s senior year, her IEP reflected transition goals driven largely by her parents. They wanted her to take an online college course and look for work in Brunswick in a “paid position that utilizes her theater/drama interest and skills,” according to a draft of the IEP. Parents and advocates say many special education students are steered toward what one parent referred to as the “five Fs”: food, folding, flowers, filing and filth, referring to cleaning and janitorial services. Lord said he believes they were copied and pasted from emails he had sent the school in an effort to make sure they were complying with the law. There wasn’t a thoughtful discussion about whether Kate was on board with those plans and what could be done in high school to help her achieve them. Barbara Gunn, director of student services at Brunswick School District, joined the district after Kate graduated and was unable to comment on her specific situation. But she said that, for all students, crafting a meaningful transition plan is paramount. “That team has to give good thought to what that student would like to do and is capable of doing,” she said. “You’ve got to do some sort of survey on what their interests are, what they have skills in.” If a student like Kate is unsure of what he or she wants to do with their future, a transition goal may focus on doing career exploration to gauge interest in future careers. The district is also considering beginning the transition planning process in eighth grade, instead of ninth, to make sure enough time is devoted to this process. Gunn said the district provides professional development for teachers that focuses on transition and has recently begun sending a teacher each month to a regional group meeting to discuss transition topics. Peter O’Halloran and his grandmother when Peter was a toddler. Photo: Jackie Mader/The Hechinger Report. Lord tried to do his own research about what options were available to Kate and reached out to the school with suggestions. The district offered to transfer Kate to a vocational school, but the family decided against it. Kate was thriving socially in school and the vocational school focused on training students in subjects such as mechanics and culinary arts in which Kate had no interest. Administrators also told the family they could connect with the Department of Behavioral and Developmental Services or apply for Vocational Rehabilitation, a federally funded service that helps people with disabilities access higher education and employment. In her high school itself, though, there was little on site to help Kate. 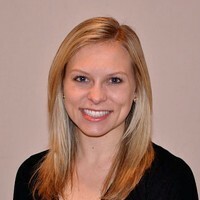 Her senior-year IEP cited a Service Learning class as a means of introducing her to different employment opportunities. That course is available to both general and special education students and provides students with opportunities to volunteer in the community. It doesn’t have to be this way. Peter O’Halloran of Willow Grove, Pennsylvania, received special education services during his educational career due to developmental disabilities from complications during his birth. Peter has trouble with reading, paying attention and expressing his thoughts while speaking. As a child, Peter said he wanted to be a Supreme Court justice. He loved math, social studies and working on a computer. In high school, Peter began to take control of his IEP meetings and frequently gave input about his future goals and aspirations. Chris Bradley, Peter’s mother, said it took some pushing but the district was generally responsive to Peter’s interests. Sophomore year of high school, Peter took a survey for the district’s vocational tech school that matched him to the food service industry, a field in which he had no interest. He and his mom looked at a federal report with salary information for various jobs, and he realized an office job would provide a higher quality of life than a food industry job. So Bradley refused to send her son to the food program. Instead she pushed the school to let him try enrolling in some community college courses offered through the school’s dual-enrollment program. He later enrolled in a new vocational tech program in office administration, which gave him the opportunity to also earn credits that could transfer to a community college. The college courses had an unexpected result: Peter realized he actually didn’t want to go to college, and changed his goal. 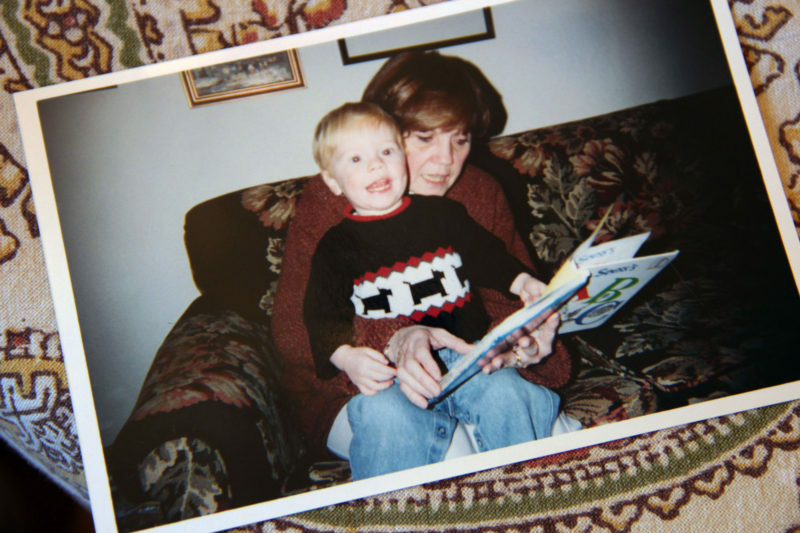 Although Bradley said she would have liked more opportunities to help Peter build a more supportive network in his hometown, the school did take some steps to help Peter work toward his goal of living independently, like taking him to the bank where he learned about setting up accounts and getting loans. By any standard, Peter has been successful. After he earned his high school diploma, he went straight to a job as an office worker, just as he had planned. He is currently employed full time as an administrative assistant at a nonprofit in downtown Philadelphia. He regularly gives speeches about his experience with special education to local college and university classes that train teachers, counselors and school psychologists as well as at national and statewide education conferences on employment issues, health care and disabilities. Kate’s family has now turned to nonprofit organizations and services for help. Kate worked with one local group to develop a career plan and spent three weeks in Minnesota at a life skills program which her parents hoped would introduce her to the idea of being away from home and improve her self-advocacy. One September morning in the college kitchen where she’s employed, Kate seemed like any other young adult hard at work. She efficiently used a machine to spit out cookie dough and placed the balls on a baking sheet. Her shoulder-length blond hair was held back in a high ponytail — last summer she cut off 12 inches and donated it to Locks of Love — and she chatted with a co-worker about his plans for the day once his shift was done. She said that although the bakery job was tough at first, now “it’s okay. They’re all really nice.” But she doesn’t want to work there forever. She’s a big fan of the American Girl dolls — she’d like to work at one of their stores as a personal shopper or, she said, “maybe even set up display cases.” Her dad still thinks there might be a way to tap into her love of theater to find a career or at the very least would like her to get a second job in town. He understands that Kate’s case poses challenges — after all it still befuddles him. But he thinks more ground could have been covered before she graduated. Peter, by contrast, is now enjoying the job he began planning for years earlier. He likes talking to clients and working on the computer. He’s making efforts to become more independent, including learning how to take care of a house (he lives at home but is saving money to buy one of his own) and do his own grocery shopping. He said there are stereotypes around people with disabilities. Special Education GlossaryIEP: Every student covered under the federal Individuals with Disabilities Education Act receives an IEP, or an Individual Education Program. This lengthy plan details a student’s current performance levels, goals for the next year, the classes a student will take, and any accommodations or modifications the student will receive in classes. This story was produced by The Hechinger Report, a nonprofit, independent news organization focused on inequality and innovation in education. Read the whole series, “Willing, able and forgotten: How high schools fail special ed students,” here. Sign up for our newsletter. I just got done reading this article on the forgotten part of Special Education. It made me angry due to its one sided view. I am a Special Education teacher at a high school. Parents and students have full rights to input any transitional objectives they want. However, these objectives need to be measurable by law. These transition goals are short term plans. It is not the responsibility of the school to find students employment. The school provided resources for the parents to pursue such as Vocational Rehab. Which is an excellent resource. The system is not broken. It is that this parent did not follow through with making sure his child had plans. Many times parents decide not to pursue resources because they cannot be bothered or do not think their child can do anything. I have seen it first hand. Parents need to stop blaming everyone else for their failures and lack of responsibility. I think this is an excellent article that illustrates well, how the intention of the transition mandates in IDEA are too often viewed as the least important components of the IEP. A truly thoughtful, team developed transition plan should drive the entire educational program of the student after age 14. Too often transition plans meet the letter of the law but not the intent. As special educators it most certainly is our job to prepare students with disabilities for postsecondary success as adults. That means understanding what occupations are available in one's geographical area, understanding what is needed to work in those occupations, and identifying clearly what a student needs to accomplish or experience while still in school to be prepared for successful transition. That's what a quality education is about. The critical importance of formally helping students plan for postsecondary success is now being recognized in general education as well. The importance of understanding what opportunities and requirements are available in the labor market is also being given more consideration in school districts all over the country. Secondary educational programs sorely need educators that have that expertise, beyond just teaching the core academics. As one of the strongest predictors of postsecondary success, employment experience while still in high school should be an integral part of every students transition plan.